Located on pristine Kaanapali Beach, the Whaler is truly a spot of absolute paradise; no other description can suffice. The Whaler offers some of the best amenities, sounds, and views in Hawaii, at both sunrise and sunset. Featuring a spa, a gym, a sauna, and a large pool facility, The Whaler has everything you need to feel like you’ve landed in paradise. Within walking distance is Whalers Village, one of the most popular shopping malls on the west side of the island. 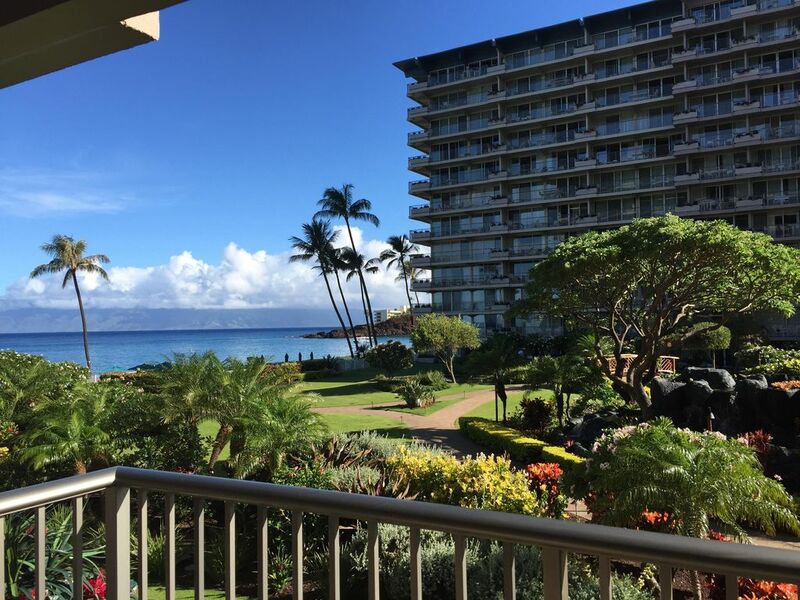 Other features within walking distance include Kaanapali Golf Courses, “toes-in-the-sand” restaurants, bars, outdoor entertainment, luaus, and of course, the beautiful beach. As you watch the sunset between the silhouettes of the islands of Lanai and Molokai into the blue ocean below, you’ll know you’ve found the best vacation spot on Earth, one that you’ll want to come back to over and over again. Included in the Resort Fee charged by The Whaler. We loved our stay and this unit! It had everything we could need and more, just as listed! We had the ability to enjoy our meals on the lanai with a direct view of the surf and Black Rock. Everything is within walking distance, you can enjoy a day at the beach with the Tommy Bahama sand chairs and umbrella provided in the unit. From there, straight from the beach to one of many outdoors restaurants on Kaanapali boardwalk and enjoy happy hour and music. The humpback whales were amazingly active and sea turtles swam right along shore...snorkeling at Black Rock was just a short walk down the beach. Wonderful location so convenient to laundry, coffee, views of moon and sun, whales and water. 24 steps from my sisters condo was perfect. Want to do it again. Awesome view and well stocked condo. First time staying at The Whaler and really enjoyed the grounds, location and all that this condo had (incredible view and nicely appointed/well stocked). Would definitely come back. The chukar partridge (bird), another Hawaiian treasure! We are so happy you found these little guys entertaining. Aloha! Effective April 1, 2019, The Whaler will charge a $25 RESORT AMENITIES FEE daily, being the direct responsibility of the guest, and collected upon check out. This fee is subject to change at anytime. The RESORT AMENITIES FEE grants Whaler Guests all of the following complimentary amenities; Access to a fitness center with brand new state of the art equipment, tennis courts & pickleball court, BBQ’s, sauna, beach chairs, HD TV & Wi-Fi in the individual units and in common areas, pool & hot tub, pool towels, daily refreshments at the pool and lobby, koi fish feeding for the keiki (kids), boarding pass printing and internet browsing, common area washer/dryer, parking, use of shopping carts, bell service, valet service during peak season (December-March), and a $10 voucher for Concierge. No interim maid service provided. An additional $125 cleaning fee for stays less than 5 nights. International credit cards incur a 2% service charge on the rental total.